UFC 184 in Los Angeles is by far the most stacked card the UFC put on this year, and possibly ever. 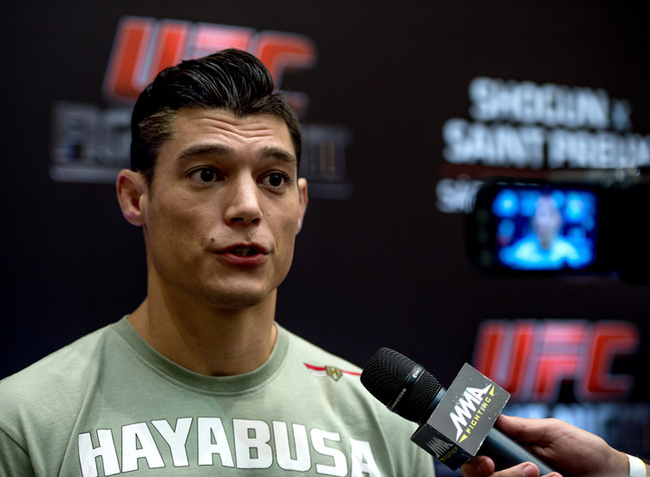 One of the most exciting fighters to have graced the UFC’s Octagon recently, Alan Jouban—a 32-year-old former model—will join the ranks alongside Chris Weidman, Vitor Belfort, Jacaré Souza, Yoel Romero, Ronda Rousey, Cat Zingano, Frank Mir and Antônio Silva. He’s slated to face Richard Walsh, also known as “Filthy Rich,” a 26-year-old welterweight fighting out of Sydney, Australia. This is an exciting matchup, as both of these fighters have demonstrated explosive capacities inside the Octagon. Richard Walsh’s professional mixed martial arts record has him standing at eight wins to two losses. Several of his fights come by way of fight-ending strikes—punches and knees being the preferred method—but he’s got one rear-naked choke submission, as well, so the ground game certainly is there. 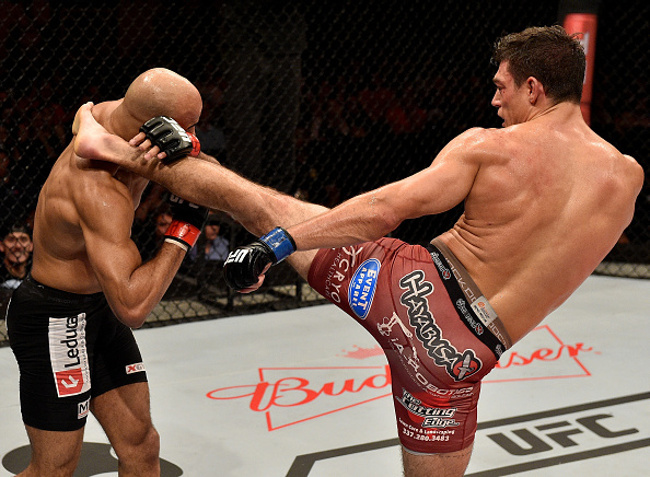 Alan “Brahma” Jouban has 10 wins and 3 losses, and his wins come almost exclusively courtesy of his unpredictable and dynamic striking abilities. Alan Jouban’s last fight was an exhilarating display of the highest caliber mixed martial arts the UFC has ever brought to its fans. Facing the undefeated Brazilian Warlley “Slingshot” Alves in the co-main event of the same card that saw Ovince St-Preux drop the legendary Shogun Rua, Alan Jouban delivered a performance that both surprised and amazed. From the fight’s onset Alves advanced relentlessly showering Jouban in haymakers, taking him to the mat in about 15 seconds. Jouban defended well on the floor and was ultimately able to get up and deliver a powerful liver kick that brought him back, and even gave him the upper hand for the rest of the fight. For the rest of the fight, Alves was visibly becoming tired, and Jouban stepped in to finish the job he’d come there to do. By the time the fight was over, Jouban lifted his hands in celebration—certainly the crumpled Alves by the fence hadn’t delivered a victory-granting performance. The judges had scored the fight in favor of Alves. Virtually everyone in attendance—even the Brazilian fans—and across the world agreed: Alan Jouban was the righteous winner of the bout. But even then, the utter professionalism and cool-headedness he displayed was almost unbelivable. Alves continued on his undefeated streak, while Jouban added a loss to what most people expected to be a spectacular run following his incredible knockout of Seth Kaczynski at UFC Fight Night in Maine. Jouban was robbed of his win in Brazil, but that's now in the past. His next objective is set, and we can't wait to see this guy perform again. A win over Richard Walsh in Los Angeles will without a doubt cement him as one of the top players in the welterweight division. In our eyes, he already is—but it is in Los Angeles where he’ll truly be able to shine, lest the abilities we’ve seen so far are eclipsed by those of the stars fighting that night. Watch any of his fights—this guy’s got something special, and seeing him perform side by side with the likes of Weidman, Belfort, Ronda and Company, will give everyone a lot of perspective as to how good he really is. Our bet is that this is going to be one of the best fights of the night.